I watched a programme 'Finding the Fallen' the other month, it was about Will Maybury, a child from Sheffield sent to Canada in 1903 for a better life. He ended up serving and dying with the Canadian forces in WW1. I now have his photograph and his history. This came from a lady in Canada who i have had contact with before. Here is her tribute to the British Home Child. I have attached this postcard which I think is of the Training Ship Southampton. It was given to me by a relative and we believe my grandfather, who had been placed in a home, was sent there in the early 1900's. 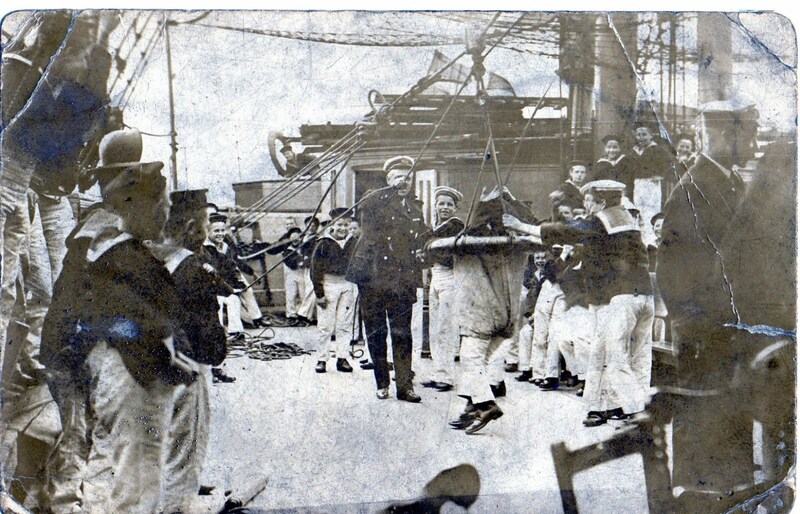 I went to Hull Archives to see if they had any records of boys who had trained on the ship but unfortunately they hadn't. There was mention of some boys and I wrote down the names of the ones from Sheffield but WILLIAM PARKER isn't on it. Just thought you might like to see the picture. I watched your video and it was very moving. Was your Mary Ann Parker married to Irving Gower?